The British Motor Museum at Gaydon has always been a ‘must-do’ day out for car enthusiasts in the UK. It was renamed in 2016 (formerly it was known as the Heritage Motor Centre), following an epic £1million refurbishment. Alongside the refurb, a new building, called the Collection Centre, opened. This is where all the excess cars from the museum – more than 300 of them – are stored, with guided tours open to the public. The Collections Centre is located next to the current museum. It was funded by a £1.4million lottery grant – as well as gifts from Jaguar Land Rover and the Garfield Weston Foundation. The majority of the cars in the centre are British – with many being significant as the first or last examples of their breed. The Triumph Acclaim pictured here is the last to roll off the production line, while next to it is the first ever Rover 800. This is the last ever Austin Allegro, built in 1982, next to one of the last ever MGBs. As you may guess from the number plate, this is the last ever Rover 100. It’s signed by every member of staff who worked on it. Yes, that really is an Austin Metro saloon, affectionately known as the ‘Notchback’. It was axed fairly early in its development – and the relatively poor sales of the Vauxhall Nova saloon and Volkswagen Derby suggest British Leyland made the right move. For once. This peculiar thing is based on an Austin Princess. Unveiled at the 1978 British Motor Show, it was a showcase for the new Triplex 10/20 toughened glass windscreen. The Triumph SD2 was conceived as an upmarket replacement for the Dolomite, intended to complement the popular SD1. Unfortunately, in true British Leyland fashion, financial difficulties meant the SD2 never made it into production. What a handsome thing this is… this Triumph Dolomite is a one-off prototype fitted with an experimental Michelotti design body. It’s not all peculiar British Leyland prototypes. This 1952 Morris Oxford MO is a particularly tidy example and appeared in an episode of Agatha Christie’s Marple. 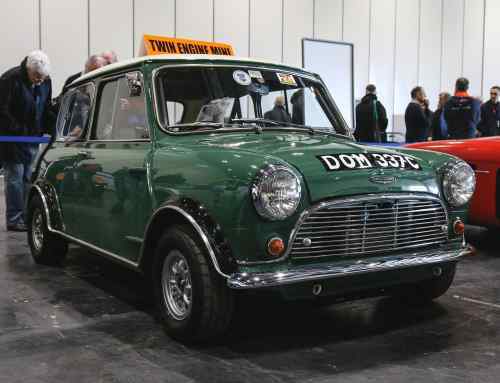 The Riley Elf, pictured here in the foreground, was launched in 1961 as a more luxurious, upmarket version of the Mini. It featured a traditional design and a larger boot, giving it more practicality. This 1992 Mini Cord was built in Venezuela with a plastic body. It was made for the South American market, using engines exported from the UK. In an attempt to rival Land Rover as a builder of lightweight military vehicles, British Motor Corporation penned the Mini Moke. It wasn’t a success, but was offered as an affordable civilian runaround. This example, along with around 10,000 others, was built in Portugal. As if this car didn’t have an identity crisis already – in a bid to take it upmarket, British Leyland marketed it simply as the Princess, following a short stint being offered as the Austin/Morris/Wolseley 18-22 series. 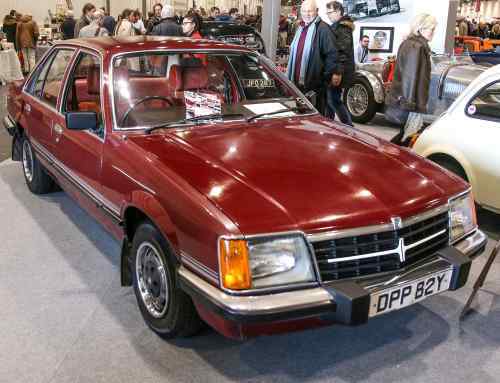 It was meant to compete with the likes of the Ford Granada and Rover SD1 – but an even more upmarket Vanden Plas version, pictured here, never made it to market. This is one of the last MGBs to be produced at British Leyland’s Abingdon factory, before it was closed down for good in 1980. It’s since been converted into flats. The Austin AR6 prototype was a design concept intended to replace the Metro. It was created under the lead of design chief Roy Axe, but later shelved by British Leyland for being ‘too futuristic’. This might look like a pretty ropey Metro van – but what if we told you it was mid-engined and rear-wheel drive? The Metro houses the insides of the new-at-the-time MGF, and was used for testing without attracting unwanted attention from spy photographers. Of course, it wouldn’t be a true British car collection without a line-up of Land Rovers. Highlights here include this 1949 Series I Tickford station wagon. This 1953 Land Rover Series I, finished in Royal Claret, was the first royal Land Rover. It was used by the Queen for more than 20 years, and joined her on her six-month Commonwealth tour. The Land Rover Defender SVX concept was first revealed at the 1999 Frankfurt Motor Show. It was the result of engineers being challenged with making the Defender as good off-road as possible – with bespoke wheels and tyres, and a sump guard replacing the front bumper. When the Freelander was first launched in 1997, some weren’t sure if it was the right direction for Land Rover. 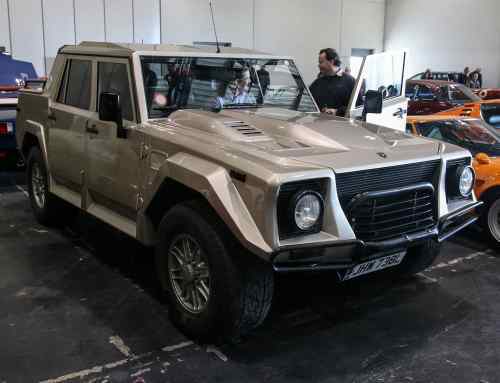 It was more car-like than anything Land Rover had produced before, and used an electronic hill-descent control system rather than a low-range gearbox. It went on to be a huge success, however, becoming Europe’s best-selling 4×4. This was the first one to be produced, signed by all the workers. When the Jaguar Heritage Trust lost its Browns Lane museum in Coventry, the Heritage Motor Centre agreed to store its collection. Some of it remains in the museum, but the rest of it now lives on the ground floor of the new Collections Centre. There’s a wide variety of important Jaguars in the collection – from this Le Mans-winning XJR9 to the last XJ40 ever built. This might look like the Jaguar XK8 convertible used in the Austin Powers film Goldmember, but it’s actually a replica. It started off its life as a press car, before being repainted in Union Jack colours. It’s not just rare prototypes on display. These two race cars both have quite a story to tell – the V12 E-Type Series 3 on the left claiming no fewer than five victories in the Class B production car championship of the Sports Car Club of America, while the success of the 1983 XJ-S TWR racing car on the right encouraged the company to enter Le Mans. Designed and made by Mulliner in Birmingham, the Daimler Sportsman was based on the second-generation Daimler Regency. It was powered by a ‘high-efficiency’ 3.5-litre engine. 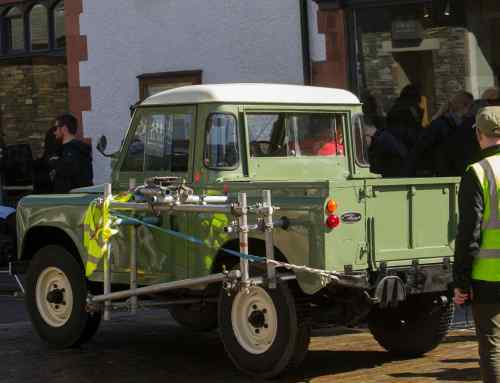 Of course, James Bond wouldn’t be James Bond without modified British cars. This XKR featured in Die Another Day and was driven by the villain rather than Bond himself. It featured a Gatling gun mounted centrally behind the seats, while further armaments included missiles fired through the front grille, rocket launchers in the doors and mortar bombs in the boot. The 1933 SSl 16hp Tourer pictured here on the left is one of just 13 known survivors – supplied new by Henlys of London. On the right is a 1938 SS Jaguar 100 2½ litre, one of the first cars to carry the Jaguar name. This 1955 Jaguar Mark VII M saloon, pictured on the left, was owned by the Queen’s Mother from new until 1973. 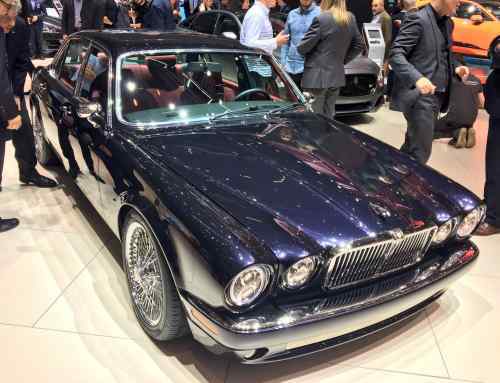 During this time it was upgraded by Jaguar a number of times, and it was painted in a special metallic claret. This 1969 Jaguar E-Type was one of just 776 open two-seaters with right-hand drive built between August 1968 and August 1970 – many more were built as left-hand drive. It was owned by an enthusiast from 1974, who then donated it to the Trust in 2001. We end with a corker of a car – the original Jaguar XJ220 concept. It was never intended to be a production car, instead showing off the firm’s abilities. It featured a mid-engined, all-wheel-drive layout, along with a V12 engine – capable, allegedly, of hitting 220mph. Demand was so high that a limited number were put into production, but using a V6 engine and rear-wheel-drive layout.